Burns’ Estate Liquidator LLC may or may not be available because of conflicts in scheduling. We have certified partners of Burns’ Estate Liquidator LLC, which we can recommend to accommodate your needs. Each certified partner of BEL has undergone a vetting process to ensure they can deliver a quality service. We understand the trust you have placed in our company. BEL will oversee the entire process and ensure that your expectations are met. One of our certified partners is Oliver’s Estates. Oliver’s Estates has been assisting BEL over the years and employs the same standards as Burn’s Estate Liquidator LLC. Oliver’s is owned and operated by Gary Oliver. 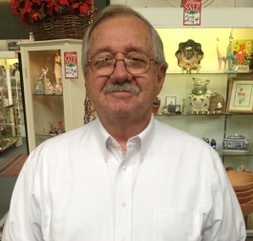 Gary has 30 years of experience with buying and selling all types of merchandise. Olivers is vetted with a general business license. Mr. Oliver’s fingerprints are on file with the Department of Justice. Olivers has the appropriate liability insurance to conduct business in Sacramento County. In Gary’s previous life, he was an office manager for the California Department of Motor Vehicles. He understands red tape and challenging processes. Gary works diligently to find buyers for your merchandise. From various small items to anything with a vehicle identification number Gary can help! Gary has warehouses, venues as a dealer for personal property and places your merchandise in the best of hands. Gary and his team will work tirelessly helping you clear a space. We stopped doing business with the merchandise long ago; we want to do business with you!